Samsung has finally unveiled Samsung Galaxy S9 and S9+ at the MWC 2018. There were lot of rumors about the smartphone before the official launch. Most of the rumors come true but there are many new features in the device which we will discuss here. Let's talk firstly about the design of the device. Samsung Galaxy S9 and S9+ have the same design as that of Samsung Galaxy S8 and S8+. They have the same glass design on front and back and an aluminum frame. They have the same infinity displays with 18.5:9 aspect ratio. The display is an AMOLED type display with 1440*2960 pixels resolution. Also the same curved screen is present which looks very cool. Even the screen size is same as that of S8 and S8+ that is 5.8" and 6.2". Both the phones are protected by Corning Gorilla Glass 5 on the front. 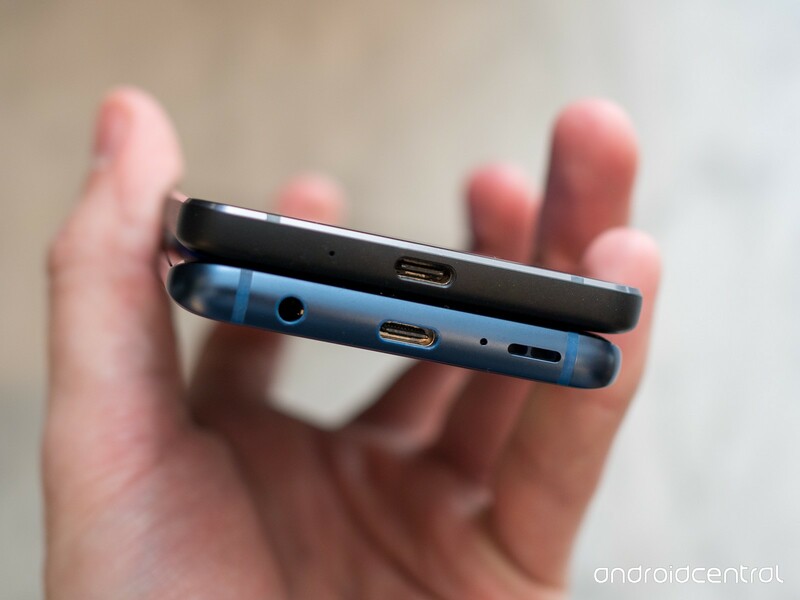 The power button on this phone is located to the right, the Bixby button to the left and the volume button also to the left. But this time the placement of the fingerprint scanner is not at the awkward position like S8 and S8+, instead it is now present just below the camera module for easier reach. Instead of keeping the same design as that of S8 and S8+, this is still among the best designed phones. 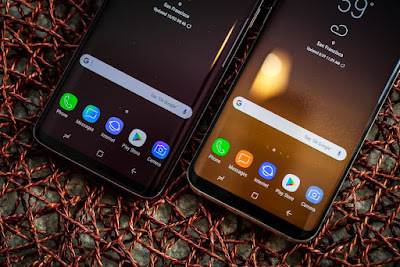 One can easily mistake Samsung Galaxy S9 and S9+ for S8 and S8+, but the placement of fingerprint scanner can make a difference. The phones come in four colors Midnight Black, Coral Blue, Titanium Gray and Lilac Purple. Samsung Galaxy S9 and S9+ both are powered by the same chipsets. But there will be two versions of the phones with one running on Qualcomm's snapdragon 845 chip and another running on Exynos 9810 chipset. Snapdragon 845 is based on octa core processor with four kryo 385 gold cores cloaked at 2.7GHz each and other four kryo 385 silver cores cloaked at 1.7GHz each. The Exynos 9810 is also based on an octa core processor with four Mongoose cores cloaked at 2.8GHz each and the other four Cortex A-55 cores cloaked at 1.7GHz each. Qualcomm version is only for US while the rest of the world will get Exynos version. Both of these chipsets are among the best chipsets of the world. So talking about performance, the performance of the devices will be buttery smooth. The phone will be among the best performed phones of the world. 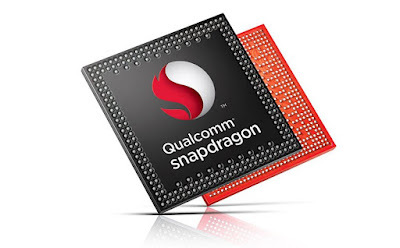 The snapdragon version is powered by Adreno 630 GPU and Exynos version is powered by Mali-G72 MP18 for better graphics and flawless gaming performance. 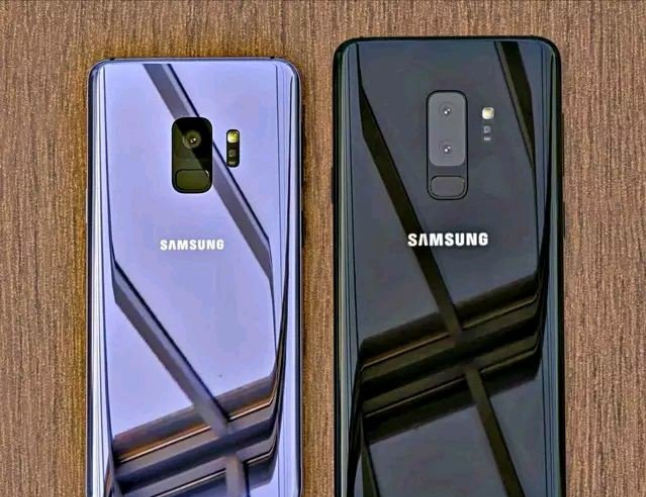 Samsung Galaxy S9 comes with 4GB of RAM while Samsung Galaxy S9+ comes with 6GB of RAM. Samsung is always known for it's smartphone camera and this time too the legacy is maintained. Samsung is touting a lot about the cameras before the launch. Samsung Galaxy S9 comes with a very unique camera. 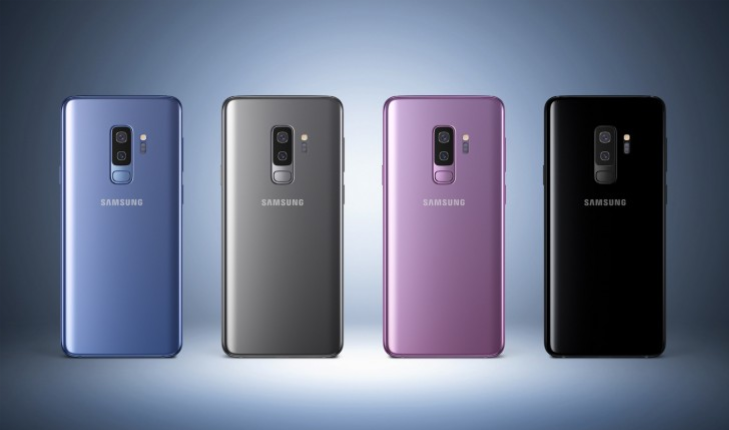 Samsung Galaxy S9 has single 12MP rear camera sensor while Samsung Galaxy S9+ comes with dual 12MP camera setup. Among these two lenses one is the simple one while other is a telephoto lens. We know that we can change the aperture of the camera sensor in the DSLR according to the lightening available in the scene. But what about the camera in smartphones? They always come with fixed aperture camera sensors but this time Samsung has changed it too. Yes it comes with the variable aperture, it's rear camera sensor can change aperture between f/1.5 largest ever in any smartphone camera and f/2.4. Taking photos with f/1.5 aperture in good lightening conditions is of no use, it only makes the photo softer. So there we require f/2.4 aperture camera sensor for making the photo more crisp. But in low lightening conditions we can shift back to f/1.5 which will be helpful there. Both Samsung Galaxy S9 and S9+ have this variable aperture lens at back. Samsung Galaxy S9 is having 12MP f/1.5-f/2.4 aperture rear camera. It is also having Optical Image Stabilization, Phase detection autofocus and LED flash. While Samsung Galaxy S9+ is having 12MP f/1.5-f/2.4 aperture + 12MP f/2.4 aperture telephoto lens, rear camera setup. Both the phones can shoot videos upto 2160p @60fps, 1080p @240fps and slomo videos of 720p @960fps. The slo mo video of the device is really cool. It is capturing 960 frames in one second, which is very impressive. It means that we can record very good slow motion with the device. Both the phones are having the same front cameras. They have a 8MP front camera with f/1.7 aperture which can record videos upto 1440p. This camera is similar to what we get in the front camera of Samsung S8 and S8+. The camera of Samsung Galaxy S9 and S9+ is the most impressive part as it is having variable camera and 960fps slow motion video. We are already familiar with the Animoji feature on iPhone X which is based on AR. 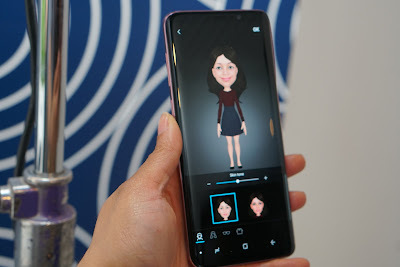 Similar to this, Samsung also put AR emoji in Samsung Galaxy S9 and S9+. AR EMOJI is a really cool feature as it creates an animated emoji of yours when we put our face in front of the camera. And now after creating that EMOJI we can customize it as well by changing our clothing, facial looks, hair and many more. And now we can record videos with these EMOJI and send it to others via WhatsApp or Facebook messenger. Also we can replace our EMOJI with some other character like Mickey mouse or some other cartoon characters. We can also create GIFs with this. This AR EMOJI is a really fun feature by Samsung. Samsung has also touted a lot about the artificial intelligence at the event. Samsung Galaxy S9 and S9+ has it's assistant Bixby just like Google Assistant which is based on this artificial intelligence. Samsung launched this Bixby last year with Samsung S8 and S8+. Just like S8 and S8+ there is a dedicated key present to launch this Bixby. According to the company Bixby has become more intelligent than previous year. The Bixby adapts according to our preferences and makes our work easy by showing things of our use. So it's a very good feature, it is just like Google Assistant. Now it helps us in online shopping as well by suggesting us various items of our preference. Now it also get a new feature just like Google Lens, in which we just have to get some thing in our camera's frame to know about that item. Also we can use this feature to translate some written language in our own language by just getting that in front of our camera. So Bixby has got smart a lot. We have already seen that Samsung Galaxy S9 and S9+ are equipped with the best hardware available in the market for a smartphone. But alone hardware can't do anything. It should have a good software as well. For this, phone is equipped with a good software. The phones come out of the box with Android 8.0 Oreo. The operating system is really good in the phone. Samsung Galaxy S9 and S9+ come with Samsung Pay which is now available in more than 20 countries. They also have Samsung Health which plays a major role in keeping you fit by telling you about your steps count, calories burnt, heart rate and your workout track. Also they have Bixby Assistant about which we have already discussed. Samsung has also secured their devices with Samsung Knox which plays a major role in keeping your information safe. 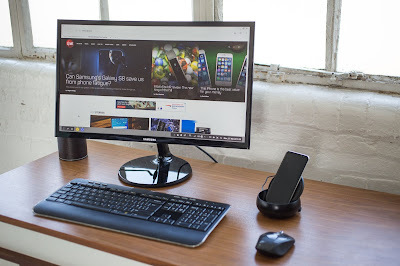 Also it comes with Samsung Dex which was also present on Samsung Galaxy S8 and S8+ by which you can use your phone on a bigger PC, so you don't have to carry a separate laptop to your Office, your phone will fulfill all the needs. Only Dex pad is required on which you will place your phone and now you are ready to use it on a bigger screen. And Samsung has also launched a brand new Dex pad. Samsung Galaxy S9 comes with 3000 mah battery and S9+ comes with 3500 mah battery. The battery life of the phones will be good as these new chips are built on 10nm architecture which is very power efficient. Also the phone supports fast charging through USB Type-C connector. The phone also supports fast wireless charging. 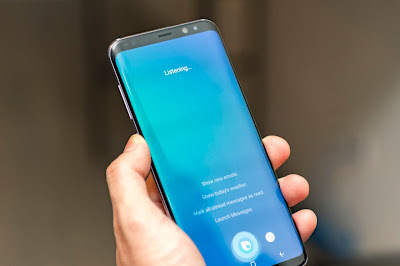 Samsung Galaxy S9 and S9+ now use stereo speakers. It also uses the earpiece as a speaker. That's why the speaker will be louder this time. 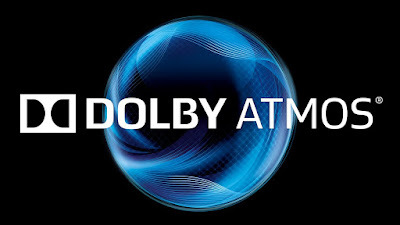 Also it supports Dolby Atoms technology for cinematic sound quality. The sound will be really immersive due to this Dolby Atmos. It also has 3.5mm jack for listening through headphones. Samsung will launch the smartphones next month in different markets. That's why the availability and pricing is yet to be announced by the company. Samsung Galaxy S9 and S9+ come in four colors blue, black, gray and purple.